This week didn’t bring any new pricing or availability details for Nvidia’s Project Shield(s nvda), however the portable gaming device was featured in a new video. The Android-based(s goog) handheld, designed and built around the company’s new Tegra 4 chip, pairs a 5-inch 720p touchscreen display with gaming controls similar to an Xbox 360 controller. Nvidia plans a continuing series of Project Shield videos, which will help to keep interest high. But regardless of how excited the Android and gaming communities could be based on demonstrations, success is likely to come down to the handheld’s price. I’m still hoping to see Project Shield debut at $250 or less, but many in the industry that I’ve spoken to expect a price at or north of $300. 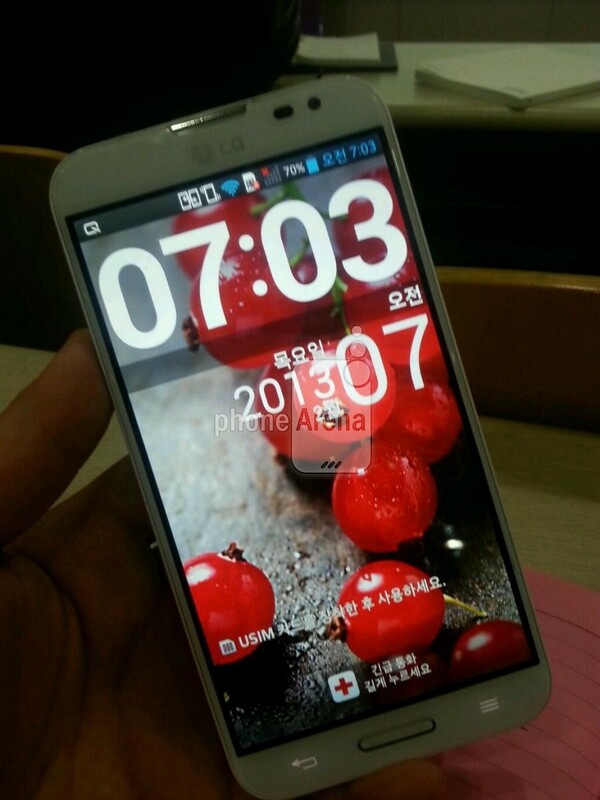 If Project Shield isn’t big enough for you, perhaps the LG Optimus G Pro is: Phone Arena captured an image of the phone and compiled a list of specifications of this handset with 5.5-inch display. That’s as large as my Samsung Galaxy Note 2 phone, but LG is one-upping Samsung: The Optimus G Pro is expected to have a full HD screen with 1920 x 1080 resolution. Additional specs include a quad-core 1.7 GHz processor, 2 GB of memory, 13 megapixel camera 32 GB of internal storage and high-capacity 3,140 mAh battery. I’d expect the phone to run all day (and then some) on a single charge, even with the higher resolution display. Unlike the Optimus G Pro, I can’t run all day. When I do run, though, I tend to use mobile apps or a smartwatch to track my exercise. This week, RunKeeper for Android got a refresh that improves on what I think was already a great app. RunKeeper version 3 for Android has a new look and feel because the team used Google’s Android development guidelines for the redesign. The software also adds some new features including in-activity splits, a tab to view your personal goals and stats, improved audio cues in workouts and workout reminders. Many of these functions were already available in RunKeeper for iOS(s aapl) so it’s good to see the Android version catch up in this functionality race.